If you’ve ever wanted to explore a glacier, but don’t have the time or funds to venture into Alaska’s far-off backcountry, this is the deal for YOU. Further, if you, like me, are fairly jumping out of your skin with anticipation of this glorious, lingering daylight, wishing you had a new place to ski or sled, this is also the deal for you. 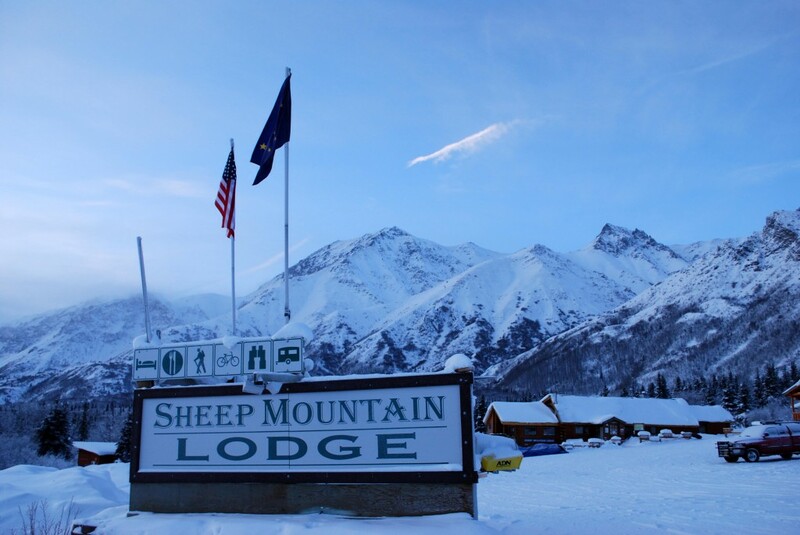 Sheep Mountain Lodge, located at Milepost 113.5 of the Glenn Highway (and within easy distance of Matanuska Glacier), is offering a great deal for Alaskans wanting a bit of adventure, or relaxing-fun time, April 1-April 30. 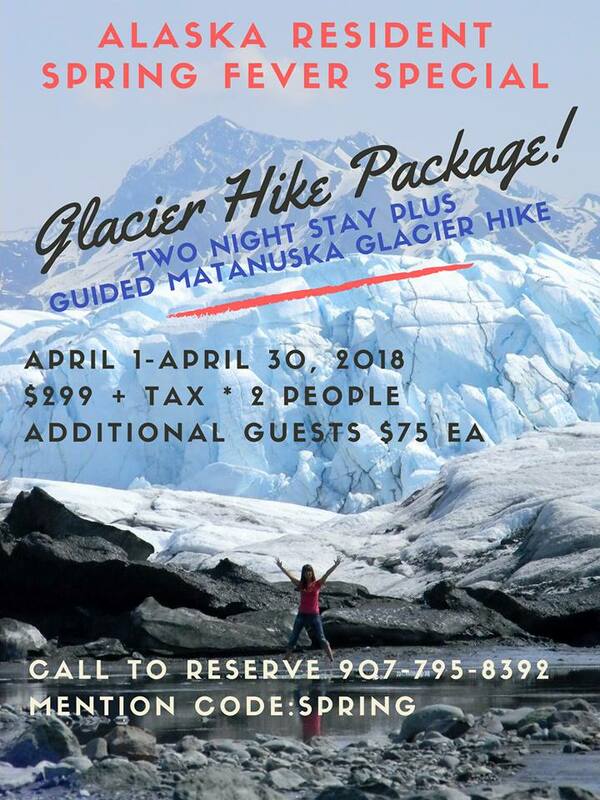 For just $299 plus tax, two people ($75 per additional person), you’ll get a 2-night stay at one of my favorite cozy places in the Mat-Su region, PLUS a chance to take a guided hike on Matanuska Glacier. Friends, this is a not-to-be-missed deal. Who should go? Families with kids age 7 and up. 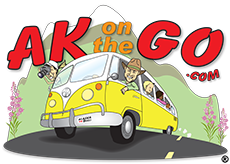 There are many slippery spots and important glacier-related safety themes to heed at Matanuska, and it’s my experience youngers may not be able to grasp the instructions necessary for a safe and fun trip. When? Any old time between now and April 30, but I’d recommend booking right now HERE, as this special will sell out fast, I imagine. What else is there to do? Sheep Mountain Lodge is a year-round destination for family fun, and spring is an excellent time to visit. We always bring our cross-country skis to enjoy the 16 kilometers of groomed, scenic trails available (check out the current conditions HERE). AK Kid likes to bring a sled and swoosh down the hills nearby our cabin, and Sheep Mountain is always a great place to “take five” before a busy summer season is upon us. Accommodations? 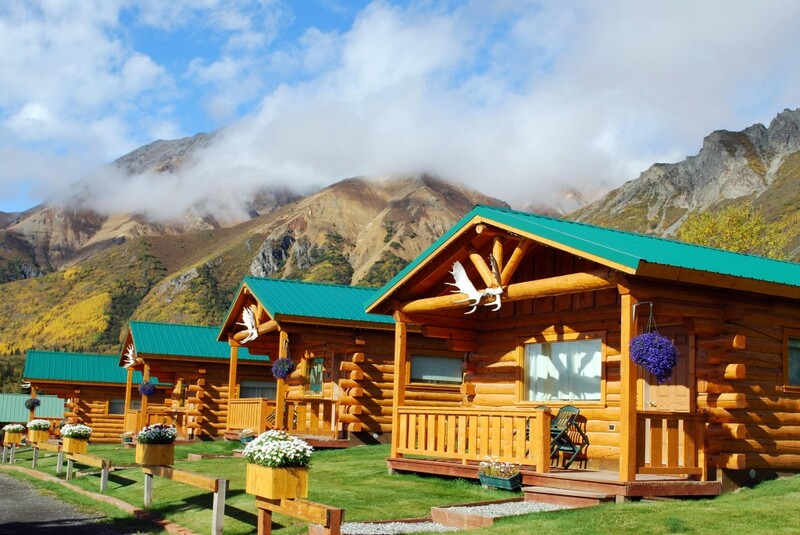 Sheep Mountain Lodge has several options, depending upon your family’s needs, and how many people are in the party. Check out the choices, and know that the property restaurant is not open until May 13 this year. 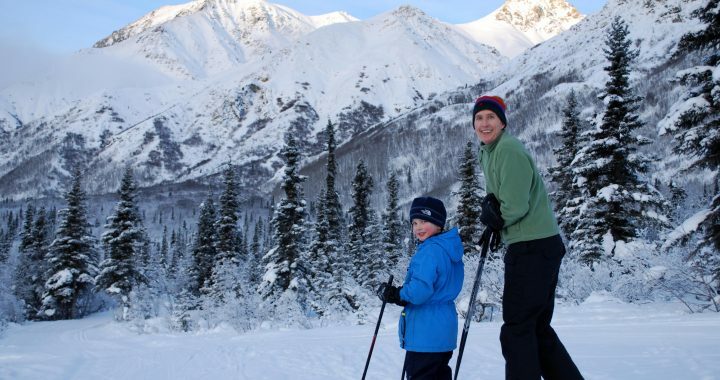 Posted in Alaskan Winter Fun, Matanuska-Susitna Valley and tagged adventure travel, Alaska, Alaska Lodging, Alaska Road Trips, Alaska with Kids, Family Travel, Matanuska Glacier, Matanuska-Susitna Valley, Sheep Mountain Lodge, travel Alaska.